The feast of the Theophany of the Lord is in many ways a twin of the feast of the Nativity. Originally it was all one feast, the Theophany, with the emphasis put on the appearance of the Lord to the world for His ministry. Only later did the feast split into two as it were, in order to combat the pagan feast of the winter solstice. Just as with the Nativity, Theophany has its forefeast of several days, commencing with the day after the feast of St. Basil and the Circumcision of Christ, when the Church also commemorates the feast of St. Seraphim of Sarov, one of the most beloved of Russian saints. Every evening, just as during the forefeast of the Nativity, a special canon is read in the middle of the church during Compline. This year, the Eve of Theophany fell on a Friday, so the Royal Hours were served at 8AM, followed by Vespers of the feast combined with the Liturgy of St. Basil. This itself was followed by the Greater Blessing of Water in the monastery baptistery. It has long been the monastery tradition to then bless all the buildings of the monastery, all the monastic cells as well as seminary lodgings with holy water before we sit down to the one, fasting meal of the day. The feast itself, on Saturday, was well attended by our neighbors and pilgrims with many in attendance at the second Great Blessing of Water, again in the bell tower’s baptistery. On the Eve the large tub where adults are baptized is blessed, whereas on the feast day the much smaller infant basin is blessed. As the faithful processed to the bell tower for the blessing, the predicted snow storm was commencing. 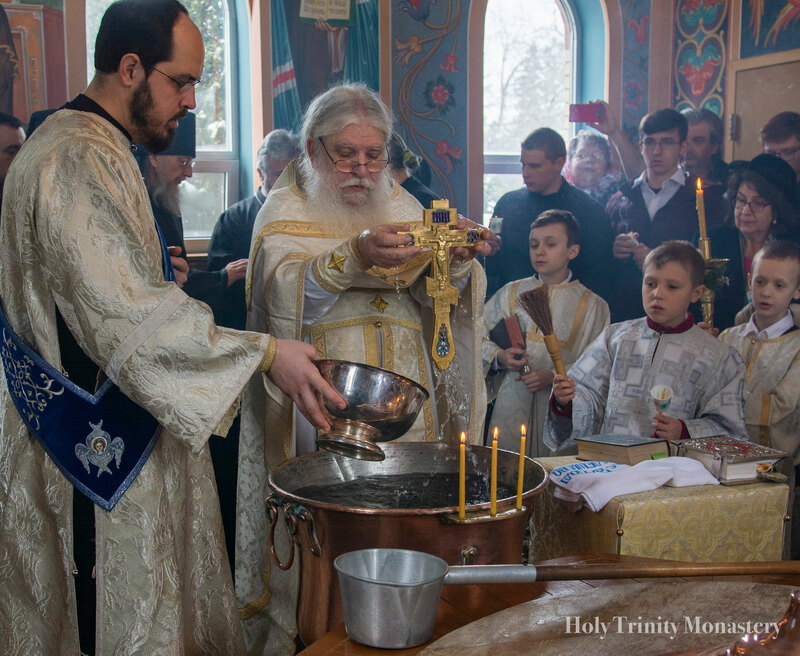 For this reason, there were few in attendance at the evening Saturday night Vigil as well as Sunday morning Divine Liturgy, when the Church celebrates the Synaxis of St. John the Baptist. Nevertheless, a number of neighbors and even pilgrims braved the elements to attend divine services. 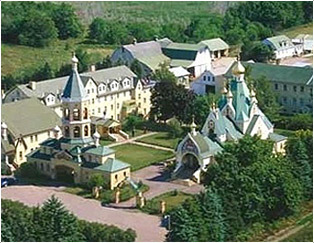 Now the whole monastery has been blessed with holy water for another year as well as over a foot of fresh, pure, clean white snow.